"Where did I go to get my fillers done?" I was never happy with my results, until recently. I got to know about Nu.Reflections on a very random note and I am so happy that I went ahead with my choice of paying them a visit to fix some of my "face issues". At 25, I do feel that sometimes I look as though I am 27 or 28 due to very obvious laugh lines even when I'm not smiling and hollow cheeks. Defined and protruding cheekbones and jawbones actually gives a stern and strong impression and actually makes your face looks larger!! Some of my friends tell me I am lucky to have high cheek bones - maybe I really am but with the braces + the "high cheek bones", it is making the area around my cheeks look deeply sunken in and I do find myself feeling pretty conscious about myself and my looks at times. I remember when I first stepped into Nu.Reflections Medical Aesthetics clinic and immediately felt welcomed by it's pristine and stylish waiting lounge. It left a really deep impression on me and I recalled telling the Doctor how I really love the entire setting. At Nu.Reflections Medical Aesthetics, the non-invasive aesthetic procedures are professionally done by their professional Medical Doctor so you can be assured that you are in good hands. Before meeting the Doctor in person, I was told that he is Dr Ivan Tan, well known for his skillful and almost painless botox and dermal fillers injections. I was also told that Dr Ivan Tan is so good at what he does to the extend of training other doctors to perform aesthetic injections! Enjoying my tea and a bowl of organic dessert before seeing the Doctor. Yes you read it right.... they serve organic desserts to their patients/guests! Every single detail at the clinic is well taken care of, even this cosy little waiting room which exudes a welcoming natural calm. Meeting Dr Ivan himself was such a joy as he really made the entire experience/conversation light-hearted and as easy as possible for me to open up about my concerns all these while. Speaking to him actually made me realised that all these while, my concerns were wrong the whole time. Initially when I first went to Nu.Reflections, I had in my mind that I really wanted to fix my squarish-looking jawline issue. Little did I know.... my jawline was NOT the issue that is making my face look older than I am and according to Dr Tan, due to me wearing braces, my jaw muscles are actually already very small! WEARING BRACES DOES CHANGE THE FACE SHAPE DUE TO REDUCING THE FACIAL MUSCLES! ...due to the fact that I do have higher cheek bones and small facial muscles + my previous botox experience.... I actually have a hollow/sunken-in face that makes me look older than I should!!!! At that point of time I was so so thankful to have met Dr Tan - he literally shone light to the entire situation and switched things around for me. Why haven't I met him earlier?!? Here in this photo you can clearly see the hollow/sunken areas of my face and the very obvious laugh lines that I have. Taking some shots before starting for the clinic's record purposes. Immediately after Dr Tan injected fillers on the right side of my face, you can very clearly see the difference. You can see the shadows on the left side of my face as it is sunken in at the cheeks area. Honestly, I felt no pain for fillers on my cheeks. The "pain" was so little, even more tolerable than that of an ant's bite. I already have pretty deep laugh lines to start with (hereditary) and over time it just got worst. Dr Tan did warn me that this one might feel a little uncomfy and indeed... the nerves around my nose/lips area was pretty sensitive and it felt as though I have mucus running down my nose after the first jab and I started sniffing... but Dr Tan shared that it was actually just a natural nerve reaction. It was painful but bearable... the first two shots only, after that I did not feel a thing due to the numbing effect from the fillers itself. Immediately after the fillers, I felt completely different - I mean, it's different, LOOK! Laugh lines immediately reduced and I still look natural, not those unnaturally plumped up laugh lines that when you smile it looks super awkward. Felt chio-er instantly and my mood totally lifted; I really feel more confident!! I have heard of Juvederm, but the first time seeing VOLIFT! Did some research and apparently VOLIFT® is Juvéderm®'s latest innovation which lasts for about 15 months. It contains lidocaine, which delivers a natural look and it is best for smoothing nasolabial folds. "Juvéderm® wrinkle filler treatments reduce or smooth facial lines, wrinkles and folds for a fresher, brighter look.The Juvéderm® range has formulations to treat everything from fine lines to deep folds and wrinkles. Juvéderm® is a hyaluronic acid facial filler which is smooth and long lasting. During the treatment your physican will inject the gel under your skin using a fine needle. The gel will then fill facial lines and wrinkles or add subtle volume." After fillers injection on my face, it felt quite numb all over indeed but Dr Tan said that I'm good to go after applying some light makeup to cover the small injection markings. The good thing about Dermal Fillers and Botox injections is that there is absolutely no downtime as compared to plastic surgery, so you can actually have an aesthetic enhancement done and be prettier in just about 30 minutes time! I was also told that other than Botox and Dermal Fillers, the clinic do provide solutions to an array of issues from wrinkles, pigmentation issues and more, all under one roof! Look at the number of different machines that Nu.Reflections have! 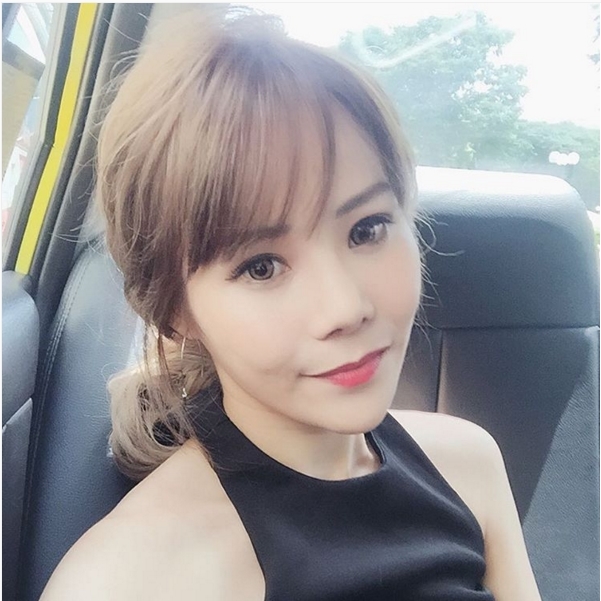 Other than his readiness to share, being real and true to patients with sincerity and with a friendly personality which is enough to win me over, Dr Tan have also attained a remarkable level of accomplishments and success among the other aesthetic doctors in Singapore. Yes, they even have their own range of facial products! Did a photoshoot and I was grinning from ear to ear while scrolling through the photos.. I mean, I look so much more youthful and I finally attained the "egg-shaped" face that most korean uzzlangs have... WITH NO PHOTOSHOP! In a nutshell, I am really happy with my results and my experience at Nu.Reflections Medical Aesthetics clinic. Yes, aesthetic enhancements can be good for our face but I have also learnt a serious lesson this time round - the DOCTOR plays a huge role in your journey to being beautiful. Really thankful to know that in the trusted and experienced hands of Dr Ivan Tan and his team, I am a step closer to achieving a prettier and more confident ME. Hope this entry is helpful to those who are looking at doing some facial aesthetic enhancements for your face! Do drop me any emails/comments or questions on my ASK.FM if you might have any! Wow ! You are looking so beautiful here and really there are little bit changed in your face after the dermal treatment. Get the best and high quality dermal fillers product from manufacturing unit Drkorman.